As much as I love Resident Evil 4, there is no dancing around the fact that the game splintered the Resident Evil fanbase. Long time Resident Evil fans missed the more methodical pace of the original games, while many others thought of Resident Evil 4 to be exactly the direction the series should have headed in. Then there is Resident Evil 5, which should have been a slam dunk for Capcom. 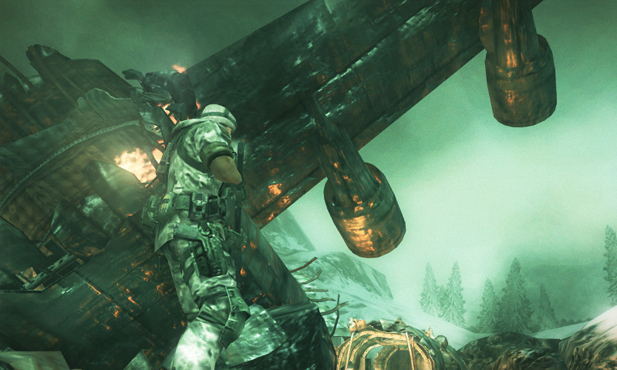 Instead Resident Evil 5 went further down the road of alienating the core group of fans. It doesn’t help that Resident Evil 5 also introduced poor features like a broken AI partner and a clumsy real time menu system. Despite the fact that I genuinely like Resident Evil 5, it certainly has its fair share of issues. 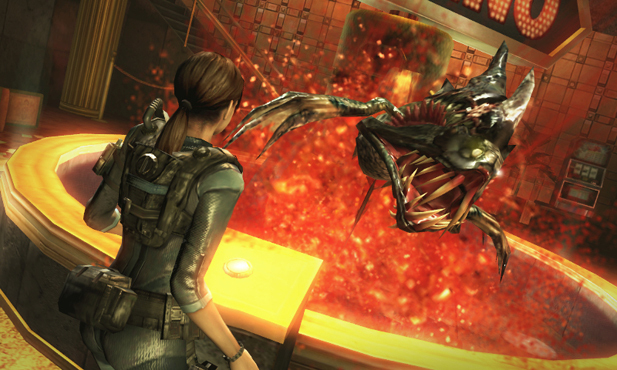 Enter Resident Evil: Revelations, the game that probably should have been the next numbered installment in the series. The developers behind Revelations have obviously done their homework and read all the complaints fans have had about the series. The real time menu system introduced in Resident Evil 5 is still fully intact, but thanks to the 3DS’s touch screen, it’s easier than ever to switch items and weapons on the fly. Putting items on the touch screen is clearly nothing new, but as seen in The Legend of Zelda: Ocarina of Time 3D, this little addition goes such a long way. Another carry over from Resident Evil 5 is the near constant AI controlled partner. However, Revelations wasn’t developed around co-op, so none of the annoying puzzles get in the way, nor does the second character need any assistance during battle. If anything, they actually end up helping out the player in the long run. Though it should be noted that sometimes they might help out too much. I’m ashamed to admit that during one amazing boss fight, my partner actually killed the boss. Yeah, they landed the final blow, not me. Bummer, right? The combat has received quite an overhaul as well. For a series first, players can now finally shoot while walking. Much like the Dead Space series, the running and gunning is more slower paced, so it doesn’t break the flow of the game. What I mean is that the game doesn’t turn into Gears of War or Uncharted. It still feels like Resident Evil. There are still plenty of intense moments where I found myself overwhelmed in the heat of battle, which is a good thing. Another tiny, but notable addition, is the ability to dodge all enemy attacks by tapping Up and B at the exact moment of impact. This tricky maneuver is key when the player is backed up against a wall in tight corridors. While many have stressed that Revelations is nearly unplayable without the Circle Pad Pro, the add on second stick for the 3DS, I couldn’t disagree more. I actually chose not to get a Circle Pad and played through the entire game using gyro aiming. One of the things that I had a hard time going back to in Resident Evil 5 was aiming with the analog stick after having played through Resident Evil 4: Wii Edition (which I might add is still the definitive version of that game). Using gyro control for Revelations is the closest I can get to having that degree of aiming again, and I gladly took it. Of course this isn’t the ideal way to play in a handful of situations, but for my money, it’s the way to play. That said, I certainly ticked my wife off several nights where I’d be rolling around in bed aiming at monsters. It didn’t help that I would regularly jump in fear as well. Yeah, I’ll admit, I was actually scared on a few occasions. Revelations does a nice job of mixing the action heavy moments that have come in the later games along with some creepy moments from the series past. Most of Revelations takes place on a large ship where players are in control of Jill Valentine, and it is here where Revelations goes back to its methodical roots. The ship features many tight hallways and a genuinely eerie atmosphere. Jill’s limited ammo means that every shot needs to count, especially since fallen enemies don’t give off any item drops. Speaking of which, when a player is need of ammo, they actually use a Metroid Prime-like scanning device that locates hidden items. Scanning enemies can also net Jill extra health, and to add a risk reward factor to this process, scanning enemies that are a threat yield higher rewards than scanning their fresh corpse. Although the ship is laid out more like a map out of Metroid, the game is broken up into bite size chunks. Between stages players are usually guided out to another event controlling different characters at different times of the story. These stages are more action focused and linear, and act as a nice way to break up the pace. This is obviously Revelations attempt at trying to bridge together both styles of Resident Evil games. I think it mostly works, even if the last quarter of the game is straight up action during the Jill sections as well. The Jill sections also offer deeper gun mechanics that are stripped from the location based stages. When playing as Jill, players have the opportunity to customize their guns with add ons that improve their stats. These range from being able to hold larger clips of ammo, to unique functions like upping the percentage of critical hits. The entire single player campaign can be wrapped up in a respectable 10 hour time frame, but it wouldn’t be Resident Evil if it was light on content. Instead of including a Mercenaries mode (likely because the 3DS has an entire Mercenaries game already), Revelations has a unique extra called Raid Mode. These 21 extra missions all take place in familiar locations, but the game switches gears to a faster paced arcade mode. Players have the ability to level up their characters and have the chance to dive into the gun modifying mechanics introduced in the Jill stages of the campaign. To sweeten the deal a bit more, this mode can be played co-op either locally or online with random strangers. Then there are the countless unlockables through StreetPass and the built in achievement system. This is a well fleshed out extra that deserves a real look after completing the campaign. 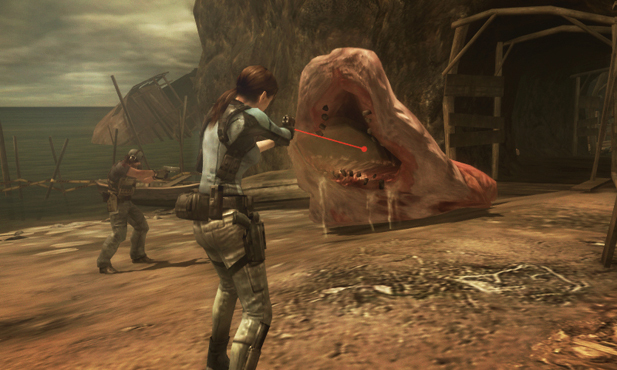 Resident Evil: Revelations is a legit Resident Evil game that could have been a numbered entry in the series. It sports vastly improved game mechanics over the previous games, it could pass for a game on the HD consoles, has a well thought out main map, and fantastic bosses. There are a handful of nitpicks of course, like some questionable load times, lack of lip sync on the characters during in-game chatter, and some crummy swimming stages toward the last portion of the game, but these are just small blemishes on an otherwise well made game. On top of adjusting the 3D effect with the slider, there is an option to in the menus to make the depth even greater. I played the game on its strongest setting with the 3D cranked up, with headphones on, and usually in the dark. The story is typical RE cheese, but it’s quite enjoyable cheese. There are even “Previously on Resident Evil” bits between each stage. Fun stuff. Mission based structure breaks the game down into tiny 10 minute chunks, which works well for portables. Do yourself a favor and stop crying about that Raccoon City game and play a real RE game. This one deserves your attention.